1593 - Izaak Walton, English writer and fisherman, best known for the book The Compleat Angler. 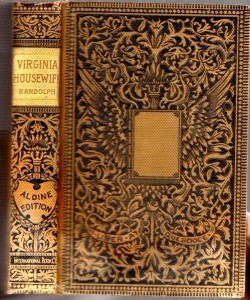 1762 - Mary Randolph, born in Colonial America, author of The Virginia House-Wife (1824), one of the most influential housekeeping and cookbooks of the nineteenth century; she was the first recorded person to be buried at what became Arlington National Cemetery, was related to both Mary Custis and Thomas Jefferson, and was a direct descendant of Pocahontas. 1839 - Bruno Paulin Gaston Paris, multiple-time Nobel Prize-nominated French writer and scholar who was a schoolteacher and a professor of Medieval French Literature. 1896 - Jean Piaget, Swiss developmental psychologist and biologist known for studies of cognitive development in children. 1899 - P.L. Travers, Australian-born novelist whose books about the magical English nanny Mary Poppins inspired a famous film as well as stage productions. 1909 - Vinayaka Krishna Gokak (ವಿನಾಯಕ ಕೃಷ್ಣ ಗೊಕಾಕ್), a major writer in the Kannada language of India and a scholar of English and Kannada literature; a recipient of Jnanpith Award for his epic Bharatha Sindhu Rashmi, one of the longest epics written in any language in the 20th century. 1910 - Robert Hans van Gulik, Dutch orientalist, diplomat, musician, and writer, best known for the Judge Dee mysteries, the protagonist of which he borrowed from the 18th-century Chinese detective novel Dee Goong An. 1914 - Tove Jansson, Finnish novelist, short-story writer, painter, cartoonist, and illustrator, best known for her Moomin books. 1922 - Philip Larkin, English poet, novelist, and librarian whose poems were noted for their highly structured but flexible verse forms. 1926 - Frank M. Robinson, American science-fiction and techno-thriller writer who was the son of a check forger. 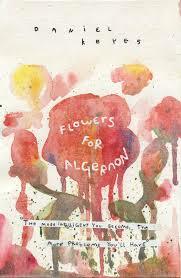 1927 - Daniel Keyes, American author best known for his Hugo and Nebula-winning work Flowers for Algernon. 1927 - Robert Shaw, English actor, novelist, and playwright. 1941 - Shirlee Busbee, celebrated American romance author. 1944 - Pat McKissack, American children's writer who wrote more than 100 books. 1945 - Barbara Delinsky, bestselling American writer of romantic suspense novels; she has also written under the pen names Bonnie Drake and Billie Douglass. 1947 - John Varley, American science-fiction novelist, short-story writer, and screenwriter. 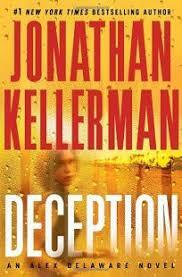 1949 - Jonathan Kellerman, award-winning American psychologist and bestselling suspense novelist. 1966 - Linn Ullmann (born Karin Beate Ullmann), Norwegian novelist, journalist, and literary critic; she is the daughter of actress/author/director Liv Ullmann and director/screenwriter Ingmar Bergman. 1973 - Gene Yang, Chinese American author of graphic novels and comics.